It's never too early to start teaching your little bébé a foreign language. Help her learn her un, deux, trois, circles and squares, along with rouge, bleu and the other colors of the rainbow with soft books featuring both English and French words. 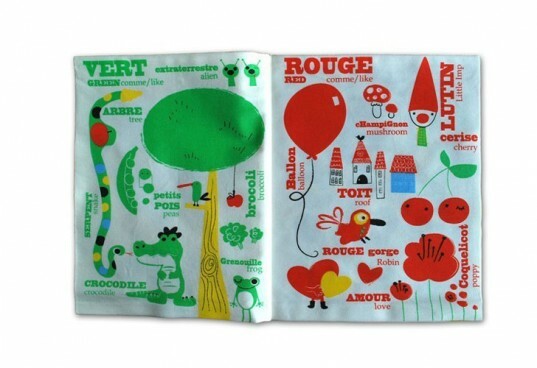 The books, or should we say livres, are printed on 100% GOTS certified organic cotton, using azo-free, water-based dyes. 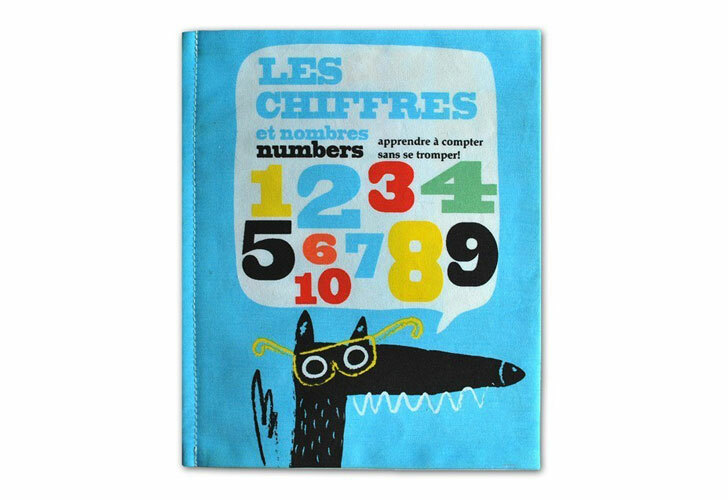 Three different books are available: Les Chiffres covering numbers, Les Couleurs covering colors, and Les Formes covering shapes. Inside each book though, you’ll find much more than the French and English words for circles and squares. Kids will find red-colored balloons, circle-shaped moons, and everything from owls to chairs to count, which will broaden their Francophone vocabulary even more. Three different books are available: Les Chiffres covering numbers, Les Couleurs covering colors, and Les Formes covering shapes. Inside each book though, you'll find much more than the French and English words for circles and squares. Kids will find red-colored balloons, circle-shaped moons, and everything from owls to chairs to count, which will broaden their Francophone vocabulary even more. The soft books are perfect for toddlers to page through themselves and they will grow with your child to preschool and kindergarten age when they begin to read. The pages feature bright colors and imaginative illustrations for each concept.